“George Dalaras sings in Greek, yet his music, springing from the heart, has a universal appeal” stated the French daily Le Figaro in 1993, long after the reputation of this great Greek musician had reached across the boarders of his native land. Throughout his triumphant tours in Europe, the United States, Canada and every other corner of the world, George Dalaras stayed in close touch with his roots, leaving a trail of saplings behind to bloom in the traditional Greek rhythms destined, one might say, to accompany today’s blending of world cultures. Born in Piraeus, the main port of Athens, George comes from a tradition of folk and blues music. His father was a traditional musician and “bouzouki” instrumentalist and his first musical memories are of the main forms of Greek music: the laika (popular), the rebetika (a kind of blues) and the paradosiaka (traditional). At the age of 16 his first public appearance was as guitarist and singer. He was the first to take Greek music out of the conventional club environment and perform concerts in large venues. When two years later, he recorded his first album, the authentic sound of Greek urban music (based essentially on the bouzouki), enriched by the young artist’s innovative contemporary approach, won him instant critical and popular acclaim, his vast live audiences rewarding him with sales of several hundred thousand for his first best- seller. In all, he has released some 85 personal albums and has collaborated in more than 70 others as musician or producer, always expanding his musical horizons with his multi–faceted creativity. In his early twenties he had already achieved stardom and began working with the great names in Greek music. He recorded “18 Songs of a Bitter Homeland” by Mikis Theodorakis, the greatest contemporary Greek composer, with lyrics by Yiannis Ritsos. Beginning in 1974 he toured Greece and Europe several times with Theodorakis, interpreting some of the composer’s greatest songs. In 1988, at the Herod Atticus Theatre in Athens, he twice performed and recorded on a double album, the composer’s masterpiece “AXION ESTI”, based on the poem by Nobel poet Odysseas Elytis. A few years later, at the same theatre, he recorded for EMI Classics a tribute concert to Mikis Theodorakis and his film music with the Metropole Orchestra. During his career, George Dalaras has indeed worked with all the important Greek composers, including Stavros Kouyioumtzis, Manos Loizos, Apostolos Kaldaras, Christos Nikolopoulos, Yannis Markopoulos, Stavros Xarchakos, Thanos Mikroutsikos, Eleni Karaindrou and lyricists such as Lefteris Papadopoulos, Manos Elefteriou , Nikos Gatsos, Kostas Tripolitis and others. In 1994 he gave five performances at the Athens Concert Hall, in a musical spectacular directed by Costas Gavras, tracing the history of Greek music from antiquity to the European Greece of today. 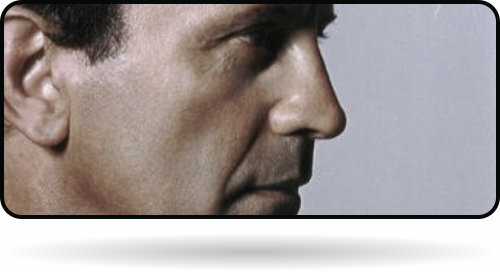 Since 1981, he has performed in over 500 concerts outside Greece, promoting, Greek culture abroad. He has performed at some of the most famous concert halls all over the world, such as the Palais des Gongres and the Olympia Theatre in Paris, the Albert and Queen Elisabeth Hall in London, the London’s Wembley Arena (backed by Melina Merkouri and Vanessa Redgrave), the Alte Oper in Frankfurt, the Mann Auditorium in Tel Aviv, the Notre Dame Basilica in Montreal, St. George's Hall the Kremlin Palace and others. In 1994 he performed at the Brendan Byrne Arena in New Jersey before an audience of 22,000. In this concert, he received the Kennedy Award from Senator Edward Kennedy, in recognition of his humanitarian contributions. He has also appeared at numerous cultural festivals, including Cuba (1981,1998), the Europalia Festival in Brussels (1982), the Peace Festival in Vienna (1983), the Youth Festival in Moscow (1985), the Aid to Africa Concert in the Stadium of Peace and Friendship in Athens (1986), the unforgettable Amnesty International Concert in Athens with Peter Gabriel, Sting, Bruce Springsteen, Tracy Chapman and Youssou'n'Dour (1988), the Poznan Jazz Festival in Poland (1999), the Crossing Border Festival in Amsterdam (2001), the Saratoga Festival in USA, with the famous Philharmonic Orchestra of Philadelphia directed by Charles Dutoit (2001). In June 2001, George Dalaras collaborated again with the Ossipov Russian Orchestra conducted by Nikolai Kalinin, a concert that was staged in Delphi. It was a unique concert that was integrated at the celebrations of the First International Refugee Day as well as towards the 50th anniversary of the foundation of the United Nations High Commissioner for Refugees (UNHCR). For its biggest part, the concert list included works by Mikis Theodorakis – to whom the concert was dedicated as being one of the most prominent refugees - while, Jocelyn B. Smith, the famous American singer had also taken part in it. In September 2001, two unique concerts were staged at the Herodes Atticus Odeon in which George Dalaras took part alongside Emma Shapplin, the famous French artist. These concerts constituted the peak events of the United Nations High Committee for the Refugees (UNHCR) upon the celebration for the completion of its 50th anniversary. Furthermore, the concerts aimed at raising money and collecting funds for the programmes of the Organisation in Greece and abroad. The two artists were accompanied by ninety musicians from the CAMERATA-Orchestra of the Friends of Music conducted by Alexandros Myrat. Once more in these concerts, George Dalaras uniquely interpreted “MISA CRIOLLA” & “NAVIDAD NUESTRA” - the classical pieces of music by Ariel Ramirez, the prominent Argentinean composer. In 21 June 2003, George Dalaras performed at the Herodes Atticus Odeon with Glykeria, on a Tribute to Asia Minor. The concert was held under the auspices of his Holiness the Patriarch of Constantinople Bartholomew and UNESCO. In August 2004, George Dalaras performed two concerts entitled “30th – 40th parallel - Musical Journey to the Mediterranean” at the Herodes Atticus Odeon, with special guests Dulce Pontes, Stefanos Korkolis, Eddy Napoli, Mira Anwar Awad, Macarena Giraldez Losada, Marcos Jimenez Antonio and Compania Flamenca “Ronda Al Alba”, Halil Moustafa and Mehmet Moustafa. In May 2005 George Dalaras and Dulce Pontes performed two unique concerts at the Herodes Atticus Odeon entitled “The Sea and Us”. The artists were accompanied by a popular orchestra and ERT’s National Symphonic Orchestra, conducted by Loukas Karitinos. These concerts were organized by the Friends’ Association of Children with Cancer “HOPE” for supporting their objectives, under the auspices of the Hellenic Festival. In October 2005, George Dalaras performed a concert-tribute to The Rebetiko at the famous concert hall of the Vienna Konzerthaus, together with Melina Aslanidou and Sofia Papazoglou. This concert was part of cultural events with general title “Greek Autumn in Vienna” and was organized by the Greek Embassy in Vienna in cooperation with the Greek Ministry of Foreign Affairs, the General Secretariat of Information, the Austrian State Radiotelevision (ORF), the University of Vienna, and other Greek Associations. In November 2005, George Dalaras performed at the Athens Concert Hall two of the most significant works of Mikis Theodorakis “Romiosini” poetry by Yannis Ritsos and “Axion Esti” poetry by Odysseas Elytis. In these concerts texts of the poets were read by George Kimoulis. In “Axion Esti” Tassis Christoyannis, baritone also participated. George Dalaras was accompanied by the Popular Orchestra “Mikis Theodarakis” and a popular orchestra, the Greek Radio and TV Modern Music Orchestra conducted by Andreas Pylarinos, the Electricity Board Choir with Choirmaster Kostis Konstantaras, the Athens Municipal Choir with Choirmaster Stavros Beris and the Youth Choir of the Nea Smyrni Leontion Lyceum with Choirmaster Katerina Vasilikou. The proceeds of both concerts were offered to the Association of Rehabilation for Addicted persons “THE RETURN”. In January 2007, George Dalaras performed in two unique concerts at the Athens Concert Hall “MISA CRIOLLA” & “NAVIDAD NUESTRA” the classical pieces of music by Ariel Ramirez, the prominent Argentinean composer for the collection of funds for the refugees in Africa. Both concerts were under the auspices of the United Nations High Commissioner for Refugees (UNHCR) and the proceeds were offered for the programmes of UNHCR and refugee children in Africa. George Dalaras was accompanied by Martha Moreleon, the Electricity Board Choir with Choirmaster Kostis Konstantaras and Michalis Tzouganakis. 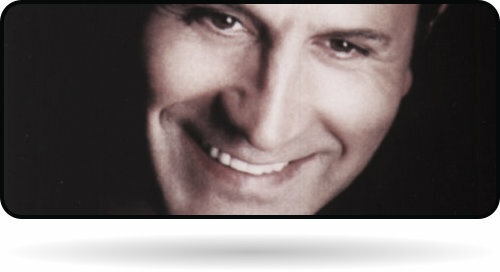 In April 2007, George Dalaras starts his European Tour entitled “Inspired by Rembetiko”. He was accompanied by Michalis Tzouganakis and Melina Aslanidou, who traveled the Greek music to the largest and most special concert halls in eleven European cities. These concerts were extremely successful and all tickets were sold out. In July 2007 George Dalaras participated in two musical performances at the Herod Atticus Theatre entitled “If it happens to the round about areas”. In November 2007 George Dalaras performed at the Pallas Theater in Athens in a musical journey of the Greek songs, entitled “From the beginning”, directed by Stamatis Fasoulis. This tribute included songs that were loved by the audience, songs that traveled us not only in time but in the emotion as well. In February 2008, George Dalaras participated in the production entitled “George Dalaras “Enchanted Songs”, Tribute to Rembetiko” directed by Sotiris Chatzakis, at the Athens Concert Hall. George Dalaras collaborated with Babis Stokas, Sofia Papazoglou, Zacharias Karounis and Aspasia Stratigou. The tribute was highly acclaimed by both critics and audience. The same performances were repeated in March 2009. In September 2008, George Dalaras appeared in two special concerts-tribute to Stavros Kouyioumtzis at the Herod Atticus Theater. He was accompanied by Kostas Makedonas, Despina Olympiou, Melina Aslanidou, Maria Kouyioumtzi. In April 2010, George Dalaras started the first part of another European Tour entitled “Encore Tour”. Michalis Tzouganakis and Despina Olympiou shared the stage with George Dalaras. The tour included fourteen cities in the most famous and prestigious concert halls, theatres and stadiums, where the tickets were sold out. In November 2010 George Dalaras presented a unique concert in New York at Lincoln Center, with the participation of “City Music Cleveland” under the direction of Alexandros Myrat. In this concert the works “Credo” and “Telluric Dances” of the Greek-Canadian composer Christos Hatzis, were presented in a first premier. In June and September 2011 George Dalaras started his collaboration with the Russian Orchestra of Traditional Instruments “Ossipov” under the direction of Vladimir Andropov, in concerts in Cyprus and Israel. In July 2011, George Dalaras collaborated for the first time with the State Symphony Orchestra of Instanbul, under the direction of the maestro Hakan Senoy, in a unique conert. In 26 November 2011¸George Dalaras presented in a world premier the work “Kavafis” by the composer Alexandros Karozas at the Vienna Konzerthaus with “Wiener Kammer Orchester” and “Wiener Singakademie”, under the direction of the maestro Yorgos Kountouris. One of the most important German actors, Bruno Ganz recited the poems of Konstantine Kavafis. In August and September 2012 George Dalaras performed concerts in Israel, Lebanon and Cyprus together with Dimitris Mpasis, Despina Olympiou and Melina Aslanidou. In September 2012 George Dalaras participated in “Balkan Symphony” in Sarajevo. In this concert prominent artists from Balkan countries and the Mediterranean participated together with the Sarajevo Philharmonic Orchestra, enriched with local instruments, conducted by Oğuzhan Balci. In February 2013¸George Dalaras presented the work “Kavafis” by the composer Alexandros Karozas, at Philharmonie Gasteig in Munich with “Wiener Kammer Orchester” and “Vienna Chamber Orchestra Chorus” of the “Vienna Academy of Music” under the direction of Stefan Vladar. Lambert Hamel, one of the leading German character actors, recited the poems of Konstantine Kavafis. Thanks to his exceptional voice and instrumental skills he has always been at the forefront of innovation in contemporary Greek music. In the course of the last two decades he has become the benchmark of what his kind of music is (or should be) about, renewing the genre by leading his mainly youthful public along neglected musical paths like the smirneika and the rebetika. In a country with so many flourishing traditions, George Dalaras has become a musical phenomenon. Yet this soft spoken and modest man shuns the “star system” and the banalities of commercial Greek bouzouki music. He has preferred to bring his audiences to the discovery of new music. His collaborations with other international artists have demonstrated his ability to cross over into other styles. He has, for example, recorded and appeared on stage with Sting, Paco de Lucia, Al di Meola, Goran Bregovic, Ian Anderson, Joan Faulkner, Jocelyn B. Smith, Emma Chapplin and produced albums such as the “Misa Criolla” of Ariel Ramirez and “Latin”. In his memorable performances with famed orchestras, such as the Metropole Orchestra, the BBC Concert Orchestra, the Ossipov Russian Orchestra, the Montreal Symphonic Orchestra, the Israel Philharmonic Orchestra and the Berlin Deutche Opera Choir, George Dalaras brings with him on stage the simplicity and directness of Greek folk tradition along with the aspirations and vibrating beat of today’s music. Over the years, George has won many hearts through his commitment to worthy causes and his concern with social issues. His fight for justice and his support for the politically or socially oppressed have made him a focus for humanitarian activists. He is particularly energetic in his support of causes associated with labor movements, discrimination against women and children and those who have suffered emotional or physical abuse; thus his collaborations with other artists for the benefit of the victims of famine in Africa and of war in Yugoslavia. His art and his popularity transcend the borders of Greece precisely because his compositions, poignant expressions of protest, social indignation and hope, set him apart from the common run of musicians. His main concern for his audiences, be they in Greece, Latin America, Russia, Canada, the USA, France, Sweden, or the United Kingdom, is always that his performances are not simply a great event but also a great cultural experience and a musical voyage of discover. Of course, figures and data are not the sole evidence one may employ to describe the course of an artist. However, the sales of over 15,000,000 copies of his albums, the packed theatres and stadiums, the hundreds of concerts, the tenths of tours around the world, the collaborations with prominent musicians and, lastly, the triumphant reviews by the international press ascertain George Dalaras’ colossal reception by the public as well as his exceptional course as an artist. On 2006, George Dalaras was appointed by the UN Secretary General, Mr. Kofi Annan, and the UN High Commissioner for Refugees, Mr. Antonio Guterres one of the seven UNHCR Goodwill Ambassadors in the world.